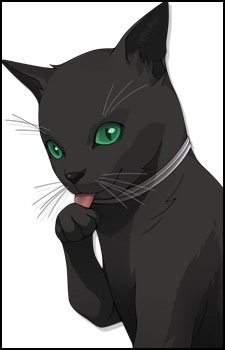 A black cat with green eyes that is partnered with Raidou Kuzunoha the 14th. He is a sarcastic talking cat. He gave advices and tips to Raidou at the Ritual of Battle in Kuzunoha Village. He acts as Raidou&#039;s mentor and assistant. Although he is a little bit annoying, he always tried his best to assist Raidou. He also doesn&#039;t want to be considered a cat. Actually Gouto is the first Raidou Kuzunoha. But he did something that is strictly forbidden by the Kuzunoha Clan. Because of it, his soul was transferred to cat. Ever since then, Gouto&#039;s voice can only be heard by summoners. Gouto is only an alias.